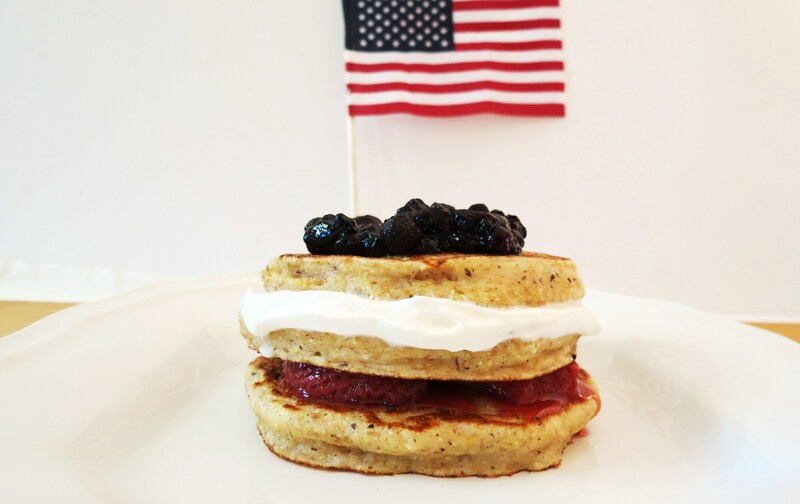 Today I bring to you my All American Pancakes. 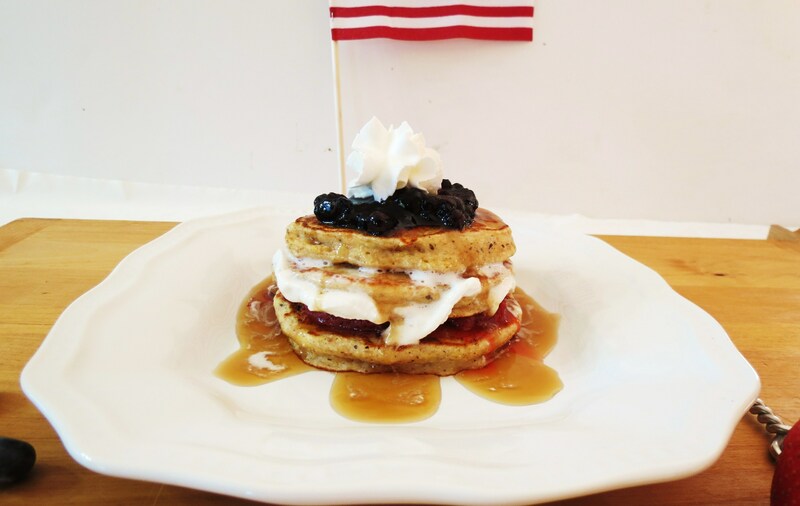 I had this grand idea of making these pancakes, and I did make them, but they turned out awful! They were over mixed, ran short on batter and were just a total flop! I was so disappointed!! But they do look cool don’t they? On my second batch of pancakes I scrapped the idea of food coloring and yogurt. I used to much yogurt and the flavor of the pancakes were not good!! Like I said, I way over mixed them! I could use them for a frisbee! I also decided to use whip cream for my middle layer instead of yogurt! Much better choice if I do say so myself. I decided to make a Blueberry Quick jam for the topping. All I did was take two bags (6 cups) of frozen blueberries, lemon juice and some stevia and cooked it up in a skillet. I do love my quick jams. It will go great on yogurt, ice cream and oatmeal. Oh and pancakes of course! This batch of pancakes turned out light and fluffy! I used my spelt pancake mix, since I was out of whole wheat pastry flour. The spelt gives it pretty speckles. I also decided to go with old fashion maple syrup for my topping, since it’s been a while since I have had it. 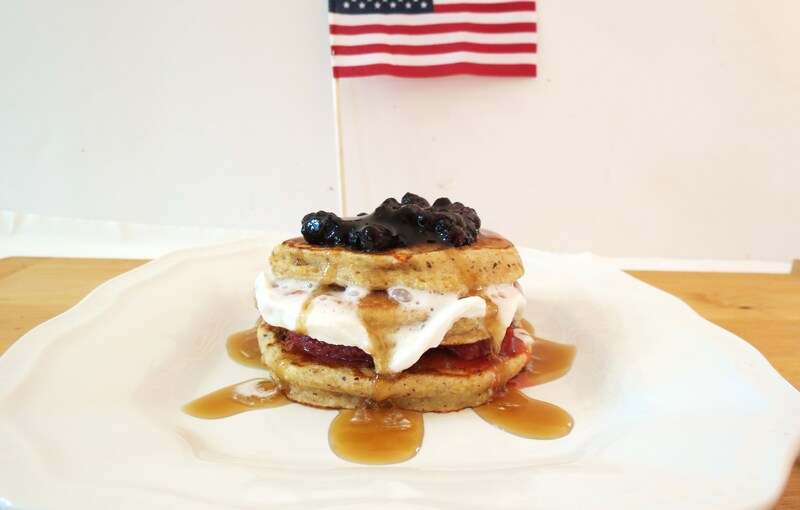 Maple Syrup and pancakes are make a wonderful companionship! Just don’t take the time to take pictures of it, the whip cream will disappear to quickly! 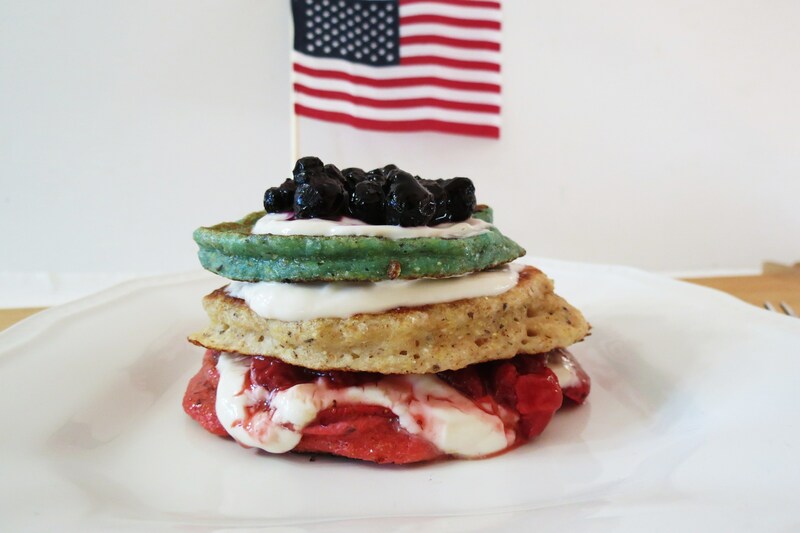 In a large skillet add blueberries, lemon juice and stevia. Cook blueberries, stirring constantly until thick. About 15 -20 minutes. 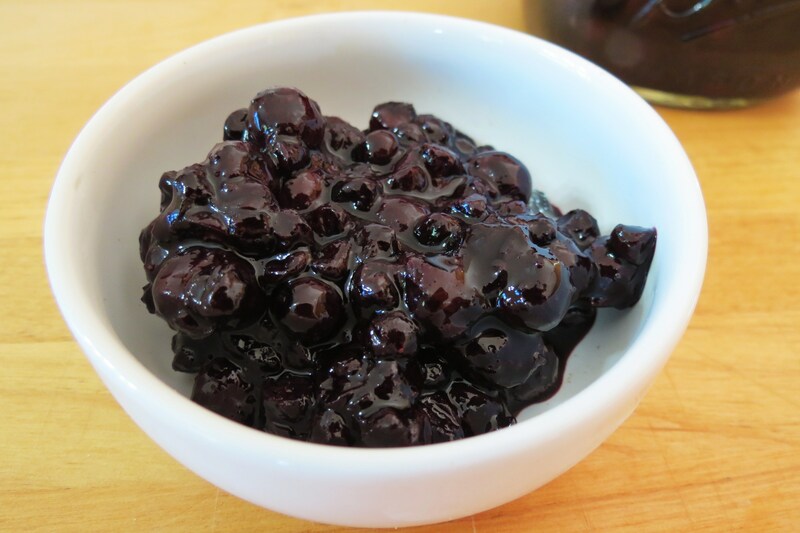 Place blueberries in a jar and let it sit on your counter until cool. Making this batch of pancakes I used a scant 1/4 cup of batter. I did run short and ended up with 5 pancakes. If your going to make this for more than two people I recommend doubling the batter. Since it was only me eating them, I kept it with 5. I’ll take the other two to work tomorrow and have it for breakfast. 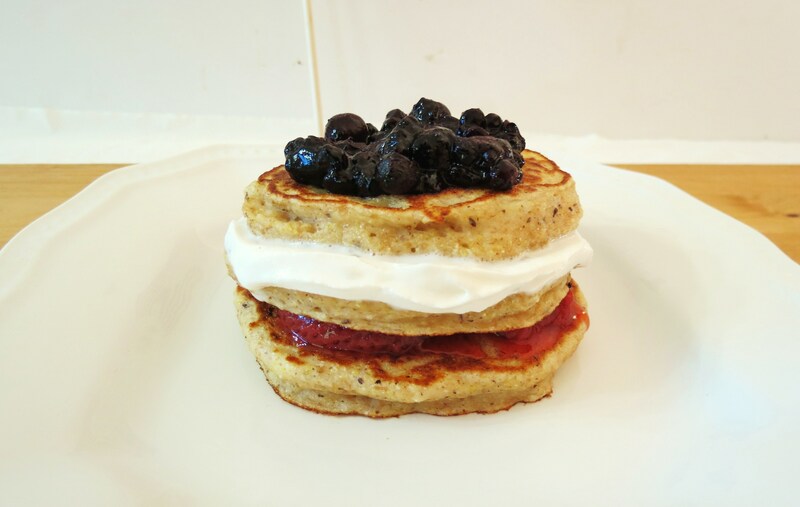 A light and fluffy pancakes made with strawberry and blueberry jam with a whip cream middle. Mix Greek Yogurt, Egg Whites, and vanilla Extract into a small bowl. Place ¼-cup batter onto non-stick skillet and cook till bubbles start appearing through the top of the pancake and then flip. Layer the pancakes: Bottom layer put 1 tbsp. strawberry quick jam. 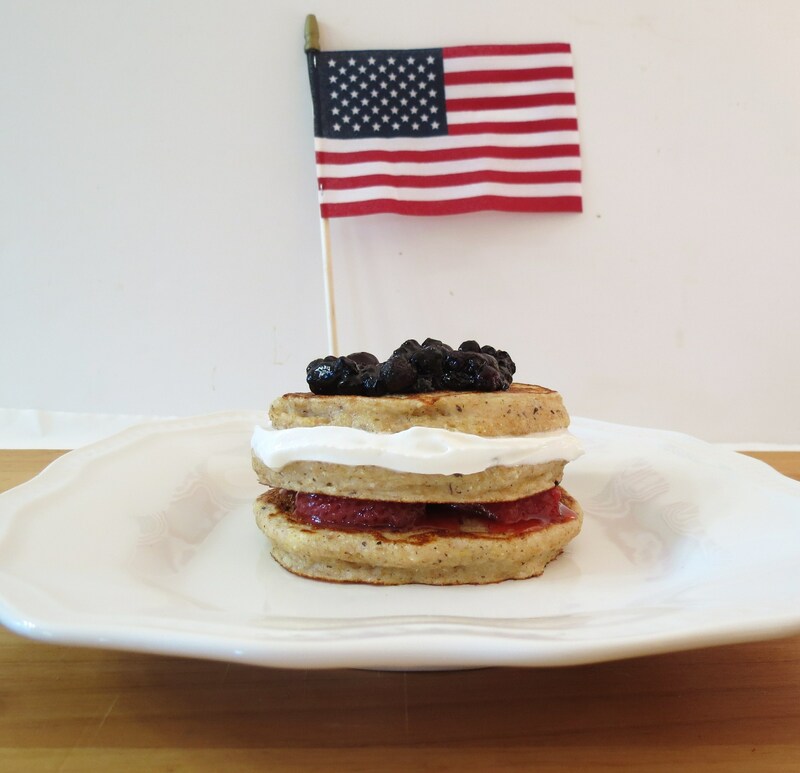 Top Layer: 1 tablespoon blueberry quick jam. Glad today is the last day of work!! I decided to take off Thursday, so I can have two days in a row. It kind of stinks that the fourth of July falls on a Wednesday. It’s hard to see the firework show and get up for work the next morning. Do you have Thursday off? Any big plans for the 4th? There isn’t much better than pancakes and maple syrup. This looks fantastic! I love that you’re so honest about making mistakes. Thank you for that. I get so frustrated when I mess up. I like to be real! I don’t cook perfect, but I do try! I want people to know the real me, I can’t always post perfect recipes, I do like to share my mistakes with you, so other’s don’t make the same ones. Like over mixing pancake batter. Such a great and easy recipe! 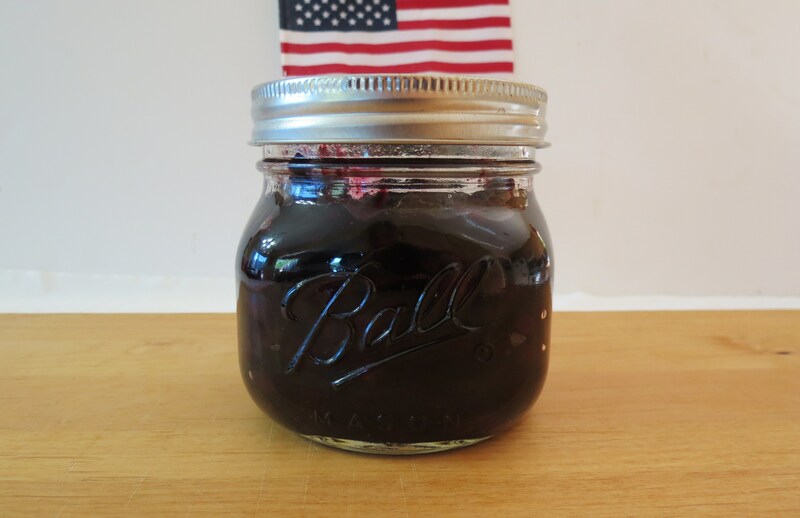 I love making jams and cannot wait to get some more blueberries so I can make this! It’s amazing how thick this jam is too!! I love it! Quick jams are wonderful if your planning on using them up right away! I put it on everything! I love pancakes too!! There my favorite Sunday morning breakfast!! 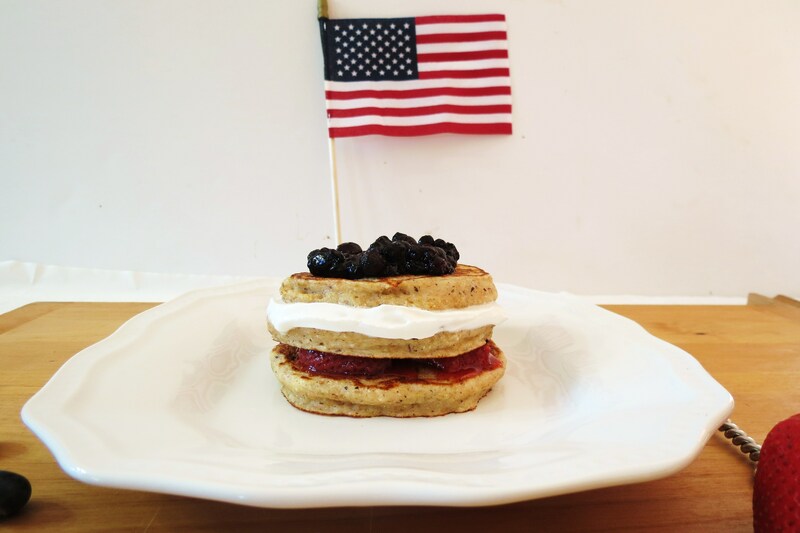 This is a delicious recipe, big thanks for sharing this, gonna make these today. Thank you! I hope you enjoy them as much as we do.